This strip of the Indian National Highway 1 rises to heights of around 11,575 feet above sea level as it passes through the captivating Himalayas. 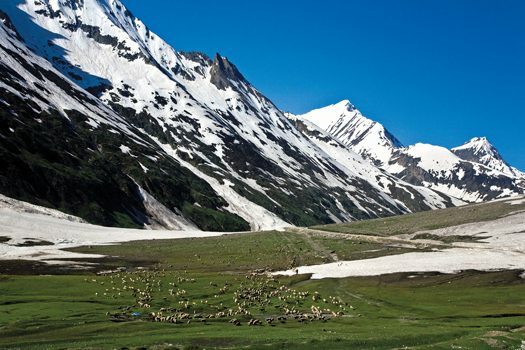 Perched between the Kashmir basin on one side and the Drass basin on the other, it overlooks snow-covered peaks and dense jungle, providing an important link between Ladakh and Kashmir. Naturally, given the road’s position, it is prone to extremes of weather, including heavy snowfall and high winds, which often make it impassable in winter. Even in good weather, drivers must have nerves of steel to travel parts of the Zoji La Pass as the track is narrow, the drops are steep and there is no barrier to offer protection.